Nineteenth-Century Europe offers a much-needed concise and fresh look at European culture between the Great Revolution in France and the First World War. It encompasses all major themes of the period, from the rising nationalism of the early nineteenth century to the pessimistic views of fin de siècle. It is a lucid, fluent presentation that appeals to both students of history and culture and the general audience interested in European cultural history. The book attempts to see the culture of the nineteenth century in broad terms, integrating everyday ways of life into the story as mental, material and social practices. It also highlights ways of thinking, mentalities and emotions in order to construct a picture of this period of another kind, that goes beyond a story of “isms” or intellectual and artistic movements. Although the nineteenth century has often been described as a century of rising factory pipes and grey industrial cities, as a cradle of modern culture, the era has many faces. This book pays special attention to the experiences of contemporaries, from the fear for steaming engines to the longing for the pre-industrial past, from the idle calmness of bourgeois life to the awakening consumerism of the department stores, from curious exoticism to increasing xenophobia, from optimistic visions of future to the expectations of an approaching end. The century that is only a few generations away from us is strange and familiar at the same time – a bygone world that has in many ways influenced our present day world. "A very readable and insightful introduction." 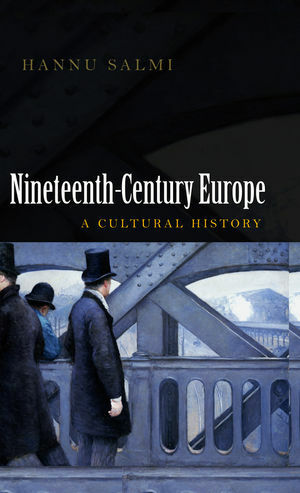 "Nineteenth-Century Europe's reworking of familiar textbook themes in the light of recent cultural history will doubtless win it a place on many reading lists." "[Hannu's] survey manages to compress a good range of concisely expressed insights into its limited compass. Among the most noteable features are its astute use of literary quotation and its consistent concern with the differences between male and female perceptions of the social and intellectual developments at issue ... it is also enlived by what most anglophone readers will encounter as some refreshingly unfamiliar citations of Finnish evidence." A brief history of one of the most vibrant periods of European culture. Connects European culture of the period, including literature, art and philosophy, to broader themes of industrialisation, commercialisation and empire. Written in a very fluid and readable style and brings in a wealth of cultural examples. Will be ideal for fleshing out the cultural elements of a European history survey class, or as background reading for students of literature and art history.